At Hidden Wings we instill the values that Hidden Wings is not just a school but a home. They must take care of their home, and at the end of the day the home but be immaculate. Also we keep loud voices to a minimum. Cursing is forbidden. The internet is blocked of any kind of compromising information. Also we are very privileged to live in a great town, Solvang. So the students are made mindful that we don’t litter, or do anything that would not be acceptable in Hidden Wings. When we hike on trails that we are to treat as home. We pick up litter, have competitions in fact on who picks up the most litter. The same values are expected in any outdoor venue. 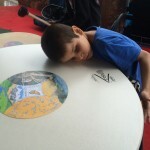 In addition, Hidden Wings students are encouraged in volunteer service, of their own choosing. By far the most popular is the Santa Ynez Valley Therapeutic Horseback Riding Program – which for many of our students is their home away from home. Students are given meaningful tasks, overseen by professional and caring instructors. And since many of our students are also students at this program, they are familiar with the rules and boundaries of horse care and riding. Finally, it is not suprising, that many of the instructors are involved with Hidden Wings, as a carryover to their mentorship of our students at the Riding Program. There are two annual events that Hidden Wings students participate in as a group. 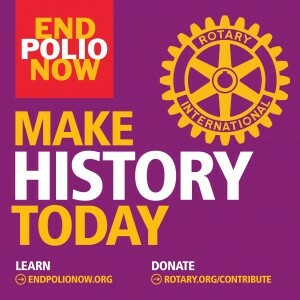 The first is the Annual Rotary Swimarathon to Eradicate Polio. 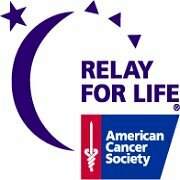 The second group event is The Annual Relay for Life event through the American Cancer Society. This event is organized by a student who spends almost the entire year cultivating sponsors, walkers, and logistics volunteers. Last year the Hidden Wings team raised the second highest dollar amount of any organized group in the Santa Ynez Valley Relay for Life!